OEM - 9H 0.3mm 2.5D Apple iPhone 7 4,7"
OEM - Μεμβράνη Γυαλί 9H 0.3mm 2.5D για Apple iPhone 7 Plus 5,5"
Protect your mobile screen from dust and scratches with something more than a simple screen protecto.. 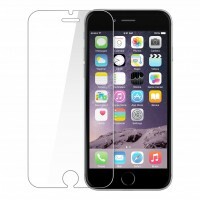 Protect your tablet screen from dust and scratches with something more than a simple screen protecto.. Protect your Apple Watch screen from dust and scratches with something more than a simple screen pro..